Good to know – Buffet on Tuesdays 5pm-8pm; Pitchers & Platters special on Thursdays (free pitcher of draft beer or sangria with an order of a LeVeLs Sushi Platter; Second floor is not as crowded; Open on Sundays; “Check in” on Four Square for a chance to win a free drink (see the LeVeLs Mayor Special). Tuesday buffet is now $220.00 V.I. Thanks Amanda, we’ll update it. 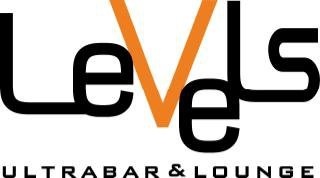 I visited Levels three weeks ago on a Saturday night. The service was terrible due to the fact that staff were poorly trained. Hands down to our waiter given the fact he was the only one working on the deck area while his colleages were “liming” by the staircase. This establishment really need to invest time in hiring the correct peple for the job and invest money in training them. Please don’t get the buffet sushi special on Tuesdays. Better yet, don’t go here for sushi. And the edamame is overcooked.